Twitter is the internet Microblogging Service - this is my acc BTW. Twitter has an API since the beginning (and IMHO is this one big reason why twitter is so successful). 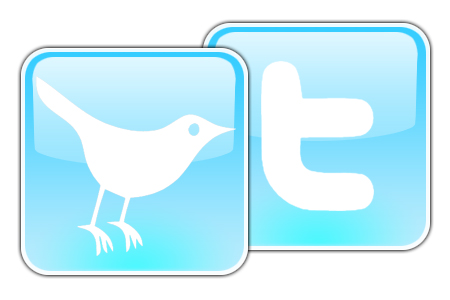 The Twitter API is REST based and so you can easily create Twitter-Clients with .NET. If you don´t want to create the HTTP basic stuff, check out existing libraries, like Tweetsharp. You can find the Twitter API docs here and a good overview here. Twittern via C# - "low level"
You can use HttpRequest & HttpResponse objects to use twitter: Sample here. Look at the Google Code wiki or on the homepage for more information. If you use a 3rd Party Twitter Client (like Tweetdeck) you have to type in your credentials to get access to your Twitter-Data. This is from a security point of view not very smart. That´s why Twitter enabled OAuth authorization, which is also provided by Tweetsharp (look here & here). You can find a nice WPF Twitter Client on Codeplex.